Whatever you need, we can build you customized event software second to none. Online to Onsite, we work with you to build comprehensive registration and event solutions that help make managing your event a breeze. Your software will be branded to match your conference website, providing your delegates a seamless experience while registering. We stand behind all of our software, striving to provide the best service possible. You have access to us 24 hours, 7 days a week. 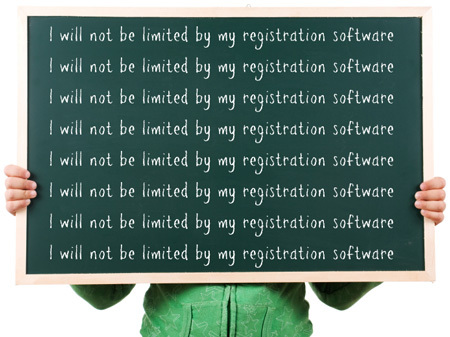 Our customized software allows you to continue using your existing processes. We work with you to build a solution that manages these processes online, alleviating manual, time-eating tasks. Spend time on what’s important… servicing your delegates, exhibitors and vendors. Give your delegates reasons to frequent your event website. 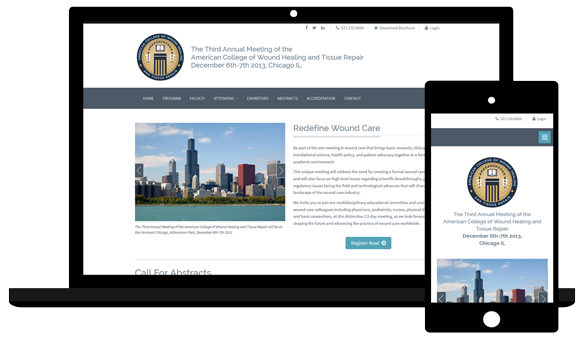 We can deliver a dynamic and responsive website that integrates with your event database, displaying dynamic content such as your program agenda or exhibitor listing.